Hello Homosapiens, just doing a little work before I post the post I said I would on the half way point. 7 days of constant use of Hammer and Arm: ADVANCED WHITENING(3 shades whiter) brushing from three-five times a day (I like to brush inbetween meals and I don't regularly snack). 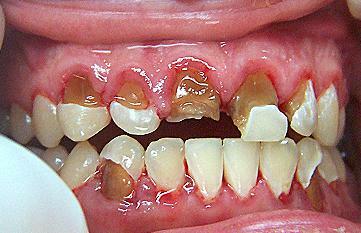 Not that my teeth were ever in bad condition (I hate seeing smokers and coffe drinkers, OH! The red wine guzzlers who don't take pride in ttheir teeth), in fact I have always been complemented on how nice my teeth look (Really? I don't care to be dispareged). Video blogging every day, one a day and sometimes twice (I do have a busy schdule) I hope at the end of the 14 days, if I don't see a difference I can get my money make (Marbie giggle) Nah I wouldn't do that it isn't me (My style) and probably means my mouth was not compatable with their (Hammer and Arm's) toothpaste. Right off to the Beer Gardens and I will get back to you Dudes and Dudettes. "I hate seeing smokers and coffe drinkers, OH! 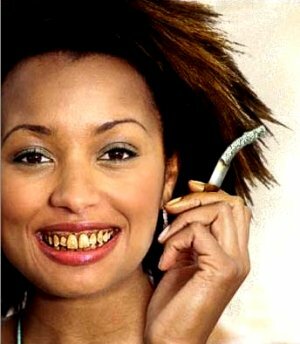 The red wine guzzlers who don't take pride in ttheir teeth"
Bad teeth acturally make me feel sick and you can tell when my eye line shifts, exactlly what I'm probably going to start to think. 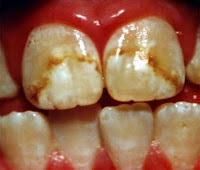 I'm not saying they have to be perfectly enlined but for Rogue's sake, if your going to eat food and drink, that are going to damage your teeth (And all foods and drinks do, even the lettuce you just ate that's stuck inbewteen your teeth is now breeding bacteria, that will eat away at you enamel) you have to take care of your teeth.